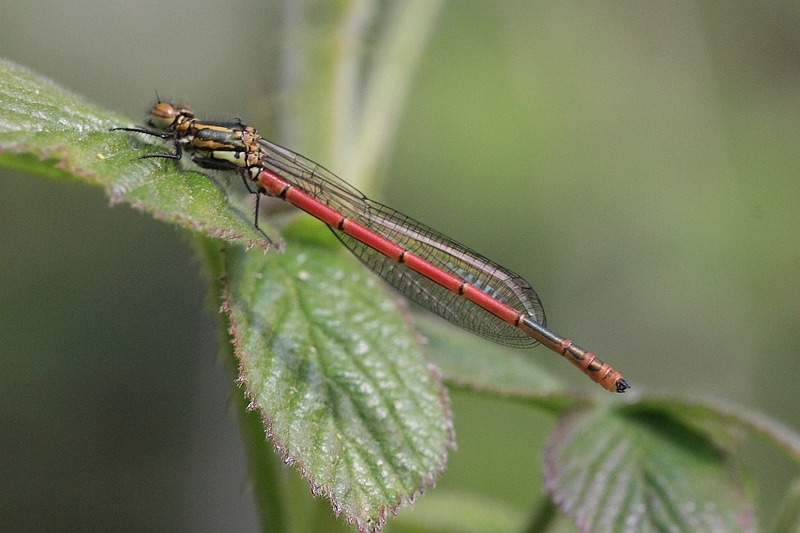 My April plan was quite simple: spend week 1 up in the Lake District, perhaps walking and helping Carol chase landscapes, then return and start watching for the first Large Red Damselflies (Pyrrhosoma nymphula) to appear. Bedfordshire’s earliest in 2013, if memory serves, had been on 1st May but it has been a mild winter and hopes are high for an early start to the 2014 Odo-nutters season. My plans were somewhat foiled on a couple of fronts. First, the weather in the Lake District was almost constantly grey and largely wet, not the kind of weather to make us want to risk getting half way up the mountains for a decent walk. Carol did a sterling job with some of her landscapes in the challenging conditions, though. [Expect a Travel page of examples in the not-too-distant future.] The second failing of my plan came when friends discovered Bedfordshire’s first damselfly of 2014 on 8th April at Duck End NR near Maulden, three days before we returned. (Why is it always Duck End NR that produces first?) A subdued scream drifted part way across our Keswick campsite. Yesterday was my first opportunity to check my local patch, Sandhouse Lane NR, for signs of life. There were a couple of Hoverflies but little else. I checked the nearby King’s Wood also but again, to no avail. It did, however, produce a pleasantly posed Peacock (?) butterfly which seemed to care little for the fact that its binomial name was up for change. Now, what’s with the question mark where I usually put the scientific name? The good ol’ Peacock, colourful enough to rival tropical species, has been Inachis io for years. 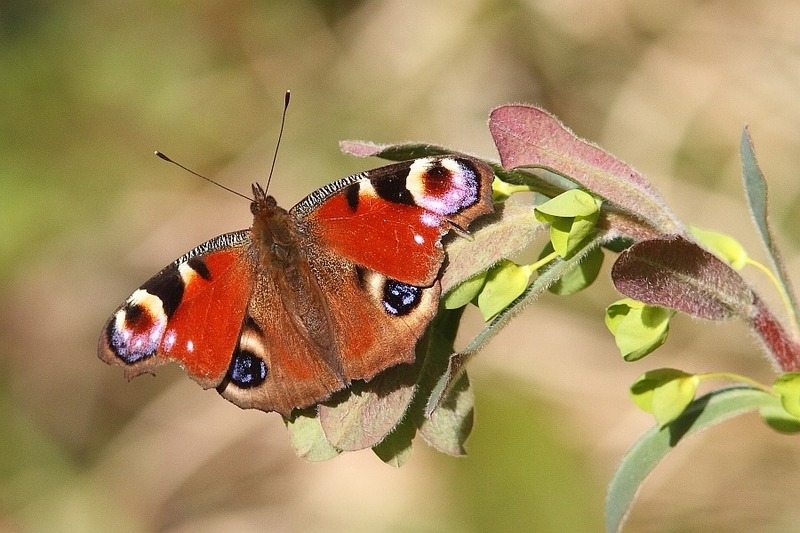 Now the blasted taxonomists appear to have seen fit to begin pushing through a binomial name change to Aglais io, thus confusing everyone – everyone, that is, except the good ol’ Peacock itself which is happy just to flit about in the sunshine, doing what comes naturally. It is still a Peacock. My theory about Duck End NR always being first goers like this: it has four modestly sized ponds, all of which are sheltered, some of which catch any passing sun and which are quite shallow and thus they may warm up more quickly. Today I set off to Eversholt where I thought there was a pond which might exhibit similar characteristics and which does support a population of Large Red Damselflies. Nothing. I began heading for Flitton Moor but, Flitton Moor being very near Duck End, curiosity got the better of me and I diverted. 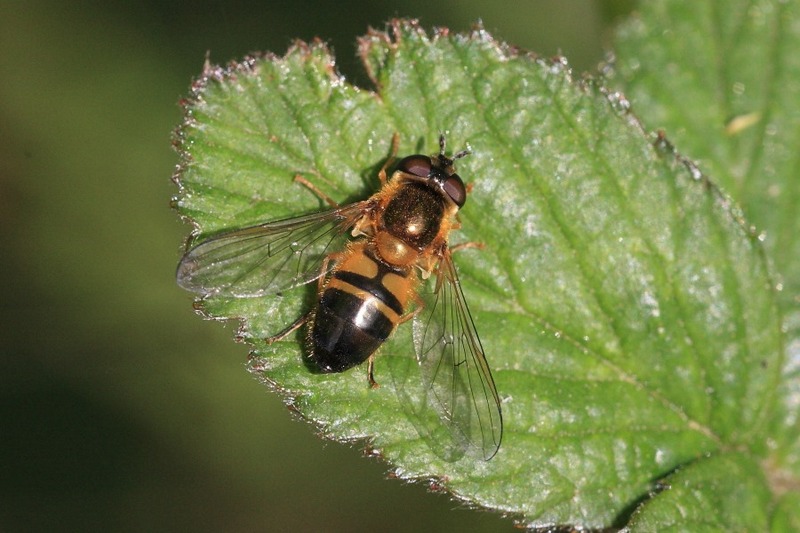 Inevitably, my chasing of hoverflies was rattling a few brambles and I caught the tell-tale glint of fresh wings. I lost sight of it in the undergrowth but then disturbed it again and managed to keep track of it. Kick-off, 2014! After concentraing on it for some time, I began disturbing others resting in the grass beside the pond and watched a few maiden flights disappear off into the surrounding trees. My final tally was 14. I returned to the previously visited two ponds but saw no others. I did, however, see this curious looking creature clinging to a stem just above the water. Leaping into Chinery’s Insects of Britain and Western Europe, I remained stumped. The general shape appeared to be similar to that of a Homopteran Bug but that didn’t ring true. iSpot rescued me. 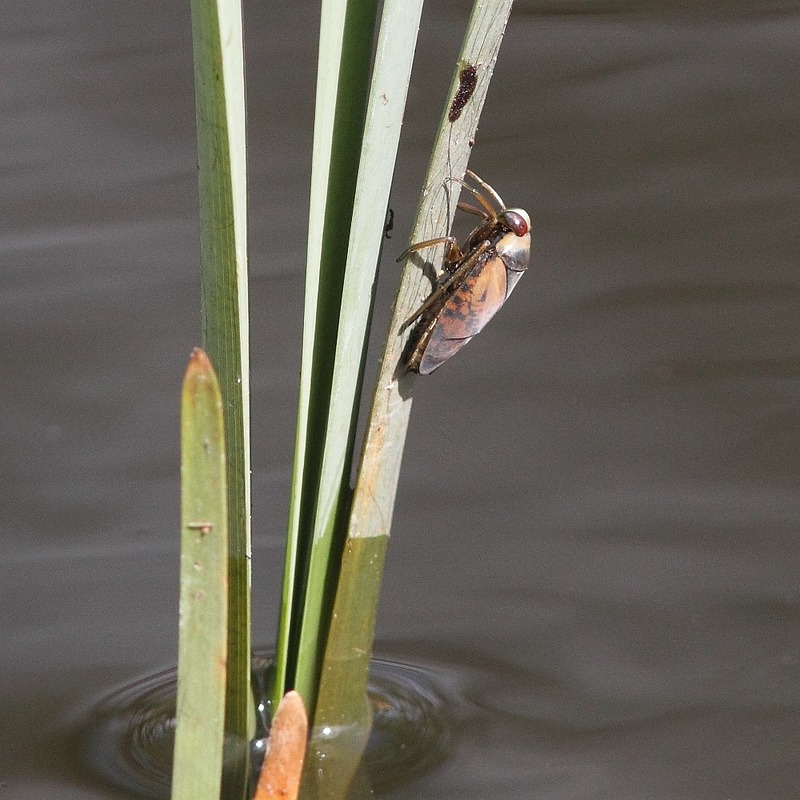 This is actually a Water Boatman (Notonecta maculata glauca). These creatures are usually seen swimming upside down under water but at the surface; I had no idea they actually climbed out of the water. I now know that they fly to change ponds. Interesting little critters. This individual is not the typical form of N. glauca? or of N. maculata, however the former often has dark markings at least as extensive as this and this is probably what it is. Also against N. maculata is the habitat. So, a Common Backswimmer, then, and what an educational little critter this has turned out to be. Text above amended accordingly.